This double sided, plastic a-frame display is a great way to show your message in an indoor or outdoor environment. It is sturdy, easy to use, and simple to store. 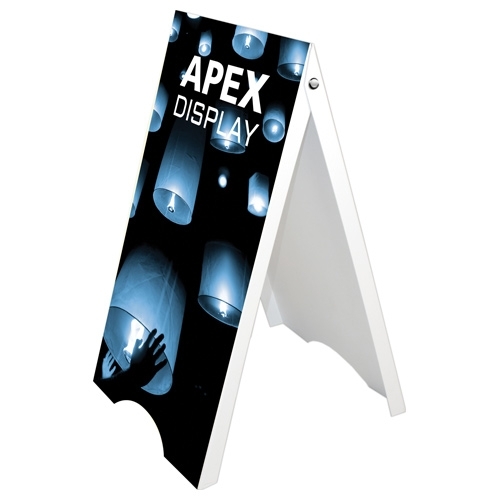 Apex is a great solution for your display needs.